Pianist in the lounge from 6:00PM-11:00PM Monday through Saturday and 12:00PM-3:00PM Sunday. Just off of the main restaurant area we can cater for small private gatherings of up to 8 people in the adjoining Oratory for something a little extra special. We can also accommodate groups of up to 40 people in the entire restaurant. 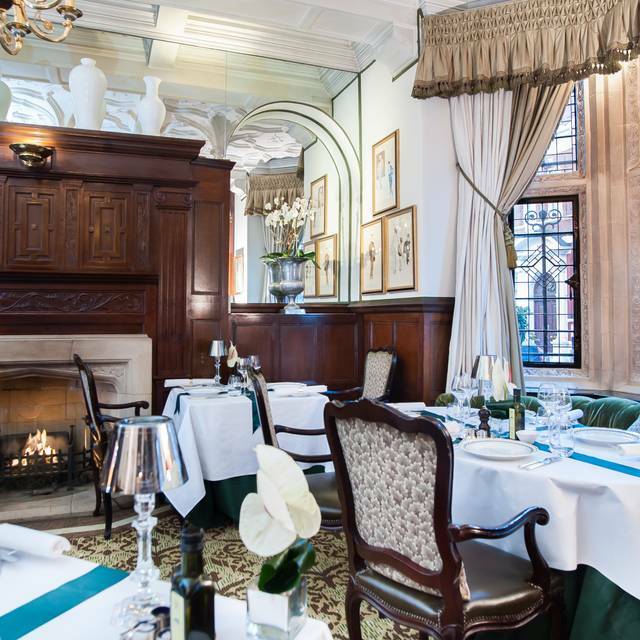 Deriving its name from an early spelling of Kensington, Cheneston's is our intimate restaurant offering the finest international cuisine with an emphasis on modern British. 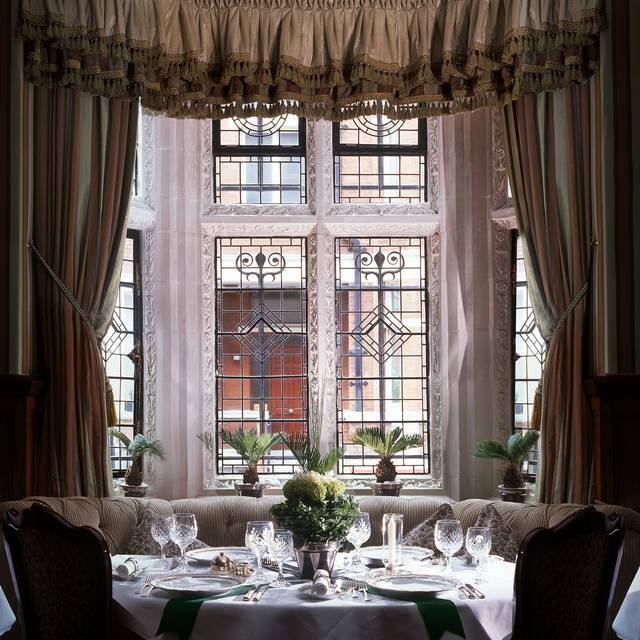 Immaculately presented with fine mahogany furniture, brightly lit with natural daylight pouring in from the leaded windows in the original style complementing the fine Victorian architecture of the building, you will feel transported from the busy London streets to a rich, comfortable environment in which to relax over lunch or dinner. Our chef, Kim Sjobakk, and his team make their mark serving a fine international cuisine with an accent on modern British dishes. They balance their natural creativity with a superb range of traditional comfort foods and a willingness to cook something special just for you. If they have the ingredients to hand (organic and, wherever possible, locally sourced), they'll rustle up exactly what you want – when you want. There's a fine choice of wine too with more than 400 vintages. In celebration of London Wine Week, join Chenestons for an exquisite Bouchard Finlayson Wine Dinner. You will enjoy a range of wines that have been expertly paired with a five-course menu. One of South Africa’s most awarded boutique wine estates, Bouchard Finlayson lies in a scenic valley, just an hour and a half from Cape Town. Framed by great fold mountains and breath-taking ocean views, it is one of the best wine-making regions in Cape Town. The tea tutorial marries a selection of the finest PMD Teas with an award-winning Afternoon Tea sandwiches, scones and pastries. 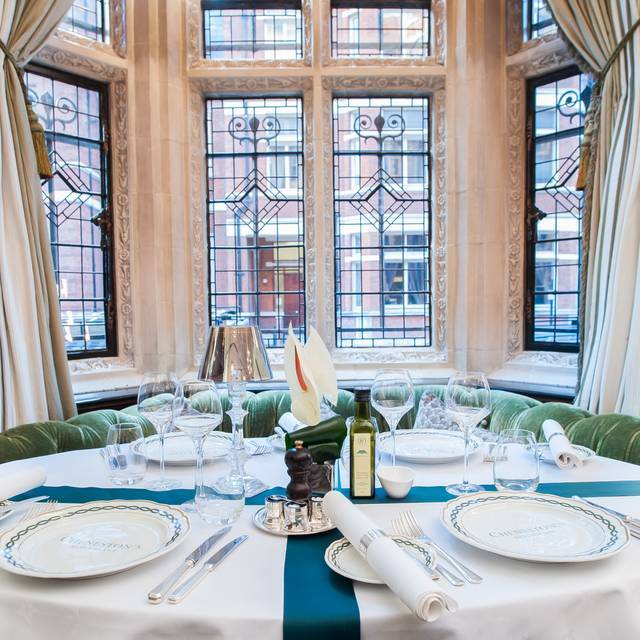 The Tea Academy will be hosted by Dananjaya Silva, Managing Director of PMD Tea, in the stunning setting of Cheneston's restaurant, with crisp white table linen, exquisite rose centrepieces, mahogany furniture and beautiful Victorian leaded windows. Dan will guide you through the history of tea and how to expertly pair tea with food, creating the ultimate experience. Included within the menu are favourite dishes from Beatrice Tollman, Founder and President of the Red Carnation Hotel Collection. These recipes have either been passed down in the family or discovered whilst travelling, and all have been perfected from her personal experience and expertise in the kitchen. Ambiance was great and very friendly service. Our dover sole was served a bit cold. Linguine was not special as expected. Staff couldn’t wait for us to leave. Rude. Superbe établissement! Le Chic londonnien, décor classique, mets excellents, service de haut niveau sans être hautain. Parfait! Five star service and five star food, accommodated my food allergy (Gluten Free) with speciality breads and pastries, a credit to the chef. Service was slow and staff not attentive. We had the pre Theatre menu and it was awful. It is such a shame as it is a lovely place. Historic decor, very rich interiors. Cosy dining area, very private, very good service. Would recommend. What a stylish and sophisticated restaurant. The ambience is beautiful and elegant, the service is excellent, and the food is delicious. My girlfriends and I were seated at a corner table we really appreciated as we had asked for privacy. The atmosphere was lovely and subdued, perfect for our catch-up. We had the three course offer and a nice bottle of wine with it and thoroughly enjoyed the afternoon. We will definitely go again. Wonderfully romantic setting for a delicious pre-theater dinner. The bar is a hidden gem tucked away from the busy street that fronts the hotel. 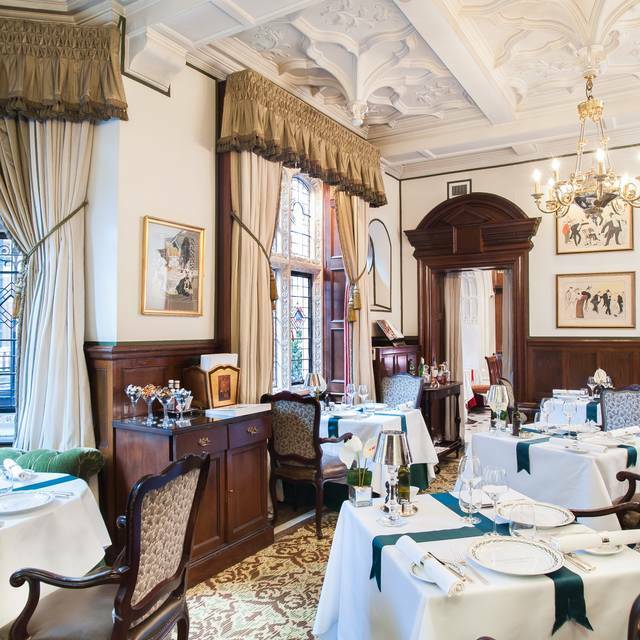 Elegant atmosphere, very attentive waitstaff, and magnificent food. A worthy choice for a special occasion! We did enjoy our evening but the service was very slow and the food and drink very expensive. Ambience so great and our waiter was of help with the menu. However, our waiter was waiting on three tables simultaneously, this caused some clumsiness. Per guest rather than per table may be a great idea for their tasks. Really good modern English food and good service-but hardly any diners, hence 3 stars for ambience! Admittedly quite expensive with no multiple course deals, which is a pity. We had a lovely dinner party of adults with children in the private Windsor room. Service was impeccable, food perfect. We will gladly go back. we had an excellent meal. service and food were outstanding, as was the entertainment. The place is charming and food is good, but the restaurant was empty for some reason. Please note, toptable reservations are not communicated to Cheneston's. Their accommodating staff seated us anyway at a lovely table, and were very attentive throughout the evening. The food was excellent, and the cocktails were very well-prepared. I highly recommend the place. Absolutely fantastic service ,fayre and whole experience. Thanks and will recommend to friends. Had a great experience at Cheneston's. The food, wine and atmosphere was fantastic. Staff was very friendly especially Lia who did an outstanding job with the wine selection. No doubt, next time in London I will go back. A little on the high side for price, but the service was exceptional! We were kindly seated in the Park Lounge which was my preference for afternoon tea, and the staff were very accomodating. The afternoon tea itself was good, with a nice variety of sandwiches. A slight criticism is that the pastry/cake portions were small for the price compared to other venues. A very relaxing spot though - wish there wasn't a 2 hour turnaround. I had afternoon tea with a freind at Cheneston's in London this past weekend and it was absolutely lovely. Perfect atmosphere for a quiet catch-up, delicious food - and not too much (we didn't come away feeling sick as one often does with a full afternoon tea! ), but great value for money by comparison to some of the big names out there. This is definitely a place I'll come back to! The Milestone worked hard on decor and presentation, and its "cream tea in the library" is a perfect period piece to impress guests with. The finger sandwiches are very good, the little cakes very traditional. There does not seem to be great choice of teas and the waiter that took our order did not understand a request for Lapsang and produced a Darjeeling instead. A request to share a cream tea was also ignored /lost in translation, so that a double portion and double bill ensued. Shame. 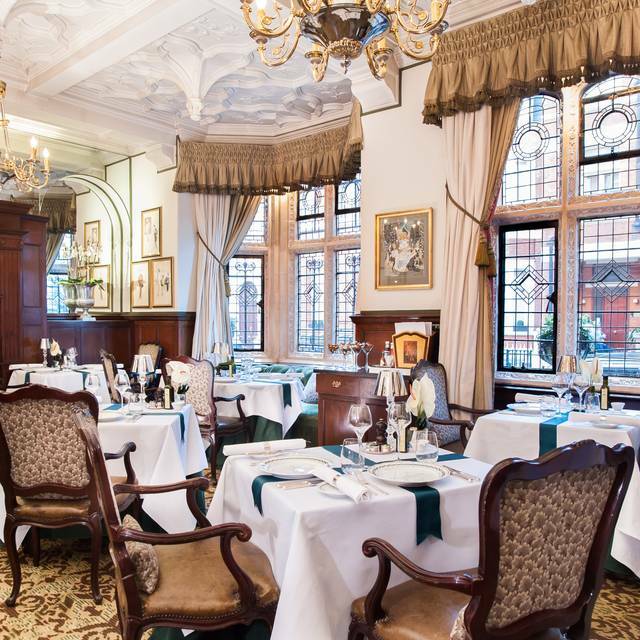 A great classic English dining room, offering excellent food, exquisite personal service, making you feel like you are dining in a country mansion rather than a London hotel. Definitely one to recommend! Dinner at Cheneston's on a Friday night. This place has a quintessentially English atmosphere. With candle lit tables, it is intimate, perfect for a quiet romantic dinner. The menu is English with a modern European influence without being contrived. Our main courses were pork and beef. Both were delicious, tender and cooked perfectly. The dessert was different and we both had the fig and toffee pudding which we found a touch on the savoury side rather than sweet. Service was attentive. Cheneston's offers a good service and nice food. WE enjoyed some afternoon tea there and consider coming back one day. I've been to Cheneston's a couple of times for breakfast and lunch. Had very good experiences but my last visit for dinner was a bit of a disappointment. Not only was it extrememely expensive but the portions were tiny. Also the cheese course was very boring in its selection. Lovely small restaurant with excellent food and fantastic service. We had a lovely time at Chenestons. The service was excellent, not obtrusive. The food was so delicious and firstly a feast for the eyes. Wine is expensive but it is the norm at such a restaurant. Will go again for a special occasion, very nice hotel, close to the Royal albert Hall. Very nice and pleasant staff in a lovely decor, but it was too empty and quiet for my taste. The food was good, although the main was less than hot, which is surprising given that at that time we were the only table in the restaurant (at 9pm). The real let down was the price, which at £37 for a main did not reflect the quality of the food (albeit good). Frankly this restaurant is at least double what it should be priced. At almost £100 per person this is far from good value, and with an almost completely empty restaurant, I recommend staying clear of this place. At Cheneston's at Milestone Hotel in London U.K.,our impression was extremely good! Went for my birthday afternoon tea. The food and service were ok but not amazing. The setting was lovely though and they let us sit there for as long as we wanted. Cheneston's at the Milestone hotel was idyllic. A luxurious home from home. The most relaxing evening. I would definitely go again. We took the festival offer and as there was a limited choice we thought it would be ok, but we were pleasantly surprised at how fabulous the food tasted. They also gave us 2 amuse bouche which were both amazing. I had the chicken pie which was really meaty and delicious and probably the best chicken pie I've ever had. My husband had the fish and chips which was really good as the fish melted in his mouth. There was also 3 different types of fish. Would definitely go back. My family had a great breakfast experience here. The service was fantastic and the food fine. Great value for money too we thought. A beautiful setting for lunch with delightful and attentive staff. Their food recommendations were enthusiastic, well presented and delicious. The food combinations were a harmonious mix of flavours and I would definitely recommend this venue! A real gem in Kensington!